Shop online for 64 polar-lights plastic models at discounts up to 49%. Parts/Acc. is the most popular of the 5 polar-lights plastic models categories, then Space, and Cars / Trucks / Vehicles. 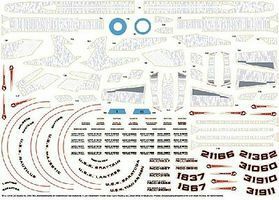 This is the 1/1000 Scale Star Trek USS Reliant Decal Set Plastic Model Aircraft Decal by Polar Lights. 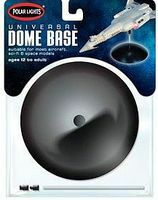 This is the Universal Dome Base Display Stand for a Plastic Model Kit from Polar Lights. Suitable for Ages 8 & Up. 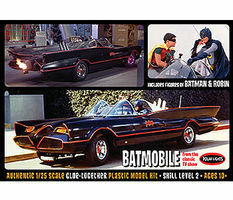 This is the 1/25 Scale 1966 Batmobile with Robin Plastic Model Car Kit by Polar Lights. 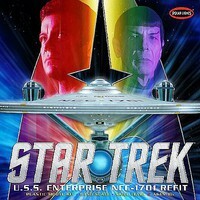 Star Trek Enterprise NCC1701 50th Anniv. Ed. This is the 1/350 Scale Star Trek The Original Series Enterprise NCC-1701 50th Anniversary Edition Plastic Model Kit from Polar Lights. Suitable for Ages 10 & Older. This is the 1/25 Scale Coca-Cola Graphics Decals from Polar Lights. 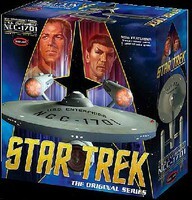 This is the 1/1000 Scale Star Trek USS Reliant Science Fiction Plastic Model by Polar Lights. This is the 1/1000 Star Trek USS Grissom/Klingon BoP (2 pack) Science Fiction Plastic Model Kit from Polar Lights. This is the 1/25 Scale Bobby Allison 1969 Coca Cola Mercury Cyclone Plastic Model Kit from Polar Lights. Suitable for Ages 13 & Older. This is the 1/1000 Scale Star Trek USS Defiant Science Fiction Plastic Model Kit from Polar Lights. This is the 1/25 Scale Batmobile 2-Pack Plastic Model Car Kit by Polar Lights. This is the 1/25 Scale Back to the Future Time Machine Plastic Model Kit from Polar Lights. Suitable for Ages 8 & Up. This is the 1/25 Scale Tom "Mongoose" McEwen 1969 Barracuda Funny Car Plastic Model Kit from Polar Lights. Suitable for Ages 13 & Older. This is the 1/1000 Scale Star Trek U.S.S. 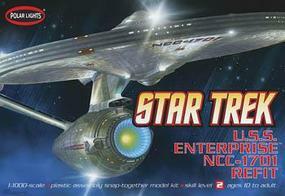 Enterprise "Space Seed" Edition Snap Together Plastic Model Kit from Polar Lights. Suitable for Ages 10 & Older. This is the 1/1000 Scale Star Trek Romulan Battle Cruiser Snap Together Plastic Model Kit from Polar Lights. Suitable for Ages 10 & Older.